The Chicago Riser Recliner Chair features an Anti-Microbial PVC fabric that helps reduce build up of harmful bacteria and is easy to wipe clean. Available in two colours, Black and Cobblestone. 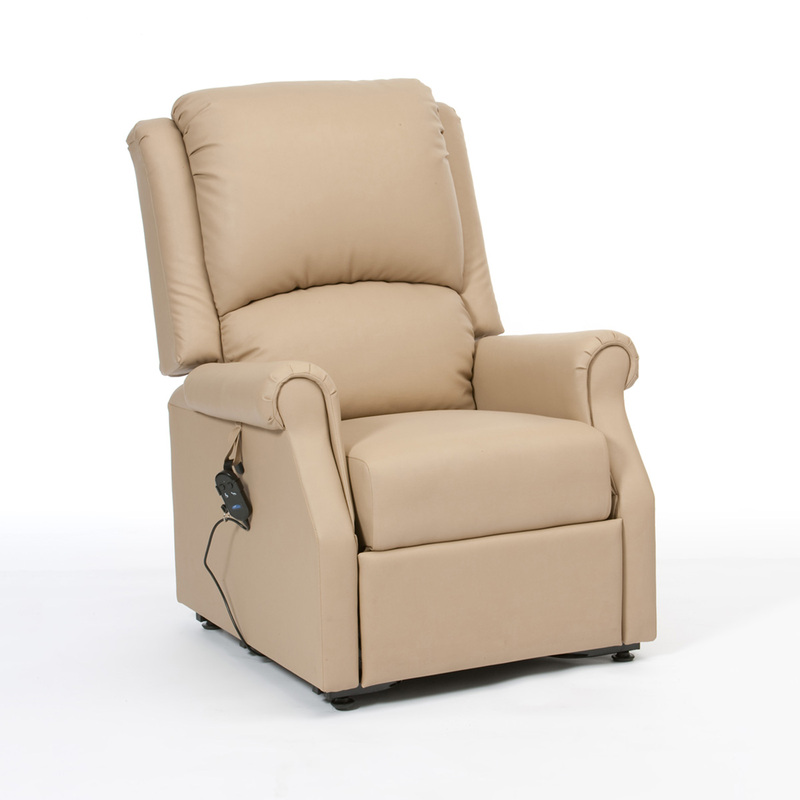 The Chicago Anti-Microbial PVC Fabric Electric Riser Recliner Chair is probably the best value model on the market. The anti-microbial PVC fabric helps reduce build up of harmful bacteria. Its easy to clean for improved infection and hygiene control. It displays all the quality associated with the Restwell brand at an excellent price! The Chicago features a distinct lift, rest and recline action including an excellent full snooze position. Available in two colours, Black and Cobblestone.